Habitat: Desert. 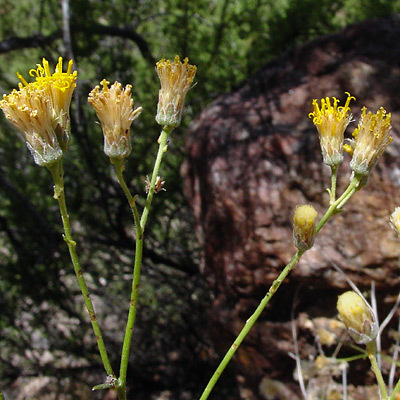 It usually grows on rocky slopes and in desert canyons. 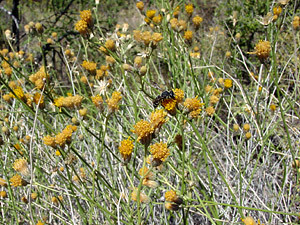 Description: The flower heads are rayless and 1/2 inch (1.3 cm) across. When present, the sparse leaves are green, linear, and often lobed. The plants are in the form of a rounded bush and are very densely branched with numerous slender, green stems. Butterfly Plant – The flowers attract butterflies and other insects. Fragrant – The flowers have a sweet scent.